On August 14, 2012, Miami-Dade County Circuit Judge David C. Miller stands for re-election. We urge you to vote for him. 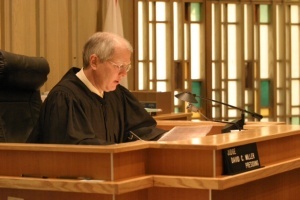 Judge Miller is one of the very best judges deciding YOUR cases. He is bright, honest, possessed of unassailable integrity and, importantly, is educatable on facts with which he might initially be unfamiliar. In our experience, he relishes the challenge of difficult cases — and difficult decisions. He is unfailingly prepared, polite, firm, compassionate, deliberate and studied. We have never before used this platform for the purpose of asking for your support. However, it is imperative for the benefit of our community that we re-elect Judge Miller. Please vote and tell your family and friends to vote for him, as well, and click here for additional information and to support his re-election campaign.